Use One... Increase Your Success Rate! There are several types of Moose Calls on the market today. Which style is the right one for you? Before we go into discussion about the various type of calls used for moose, I think this is a perfect time to discuss their usage... or lack of. 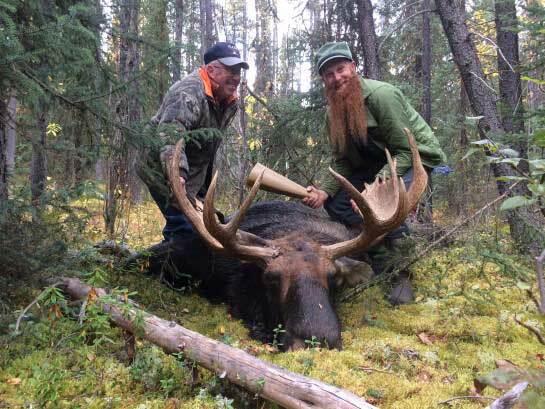 These very happy hunters with our Guide Model fiberglass moose call in hand. Using a moose call to bring them in close is not a closely guarded secret. Yet, I see few moose hunters actually using them... I don't understand why? A call, properly used and employed at the right time is one of hunter's best tools for attracting moose. Big Ones Too! How can a hunter know if there are moose in the area he is hunting. By looking and calling! For those hunters who hunt up north... I mean way up north, Alaska or the Yukon for instance, these hunters often have the advantage of gaining hilltop views of entire valleys and basins. Don't mistake that calling is ineffective up north. It is just that up in the open country moose are often spotted before calling. For the rest of us who hunt the boreal forests, we face a different challenge. How do you locate moose? Call moose using one of our fiberglass moose calls. Using binoculars is a great way to see moose in the distance, used to pick them out of the thick vegetation, or simply used to judge the size of animal you are looking at. How about hunting areas where you cannot see them? A few years ago we were hunting along the edge of a series of meadows. We couldn't see any moose in the meadows, yet I knew they should be nearby. I could have done what I've seen countless other moose hunter do... move on to the next meadow. Niibin wrote in: hello greetings everyone from up here in a treestand in Moose Country in Northern Ontario, my sister and I used your video @1.32 second mark, we both called in 3 big bulls with your awesome cow call, of course we added in our own Bull grunts to keep him interested in his own territory. We shot our 1st bulls each on Sept 21st early morning hunt, kchi-miigwetch (thank you in Ojibway)﻿. What I did was, start a series of moose cow calls. It wasn't long before I had a bull responding and fortunately for us, it wasn't long before the bull showed himself on the other side and made his way to towards us. We shot that moose when he reached about 100 yards out. The outcome would have been very different I wouldn't have used that call! How about you? Would you have called? Of course I'm not suggesting that at every meadow you hunt will have a bull moose standing in the forest waiting for your beck and call. Quite the contrary... but, if you don't call you won't know if there is one there! 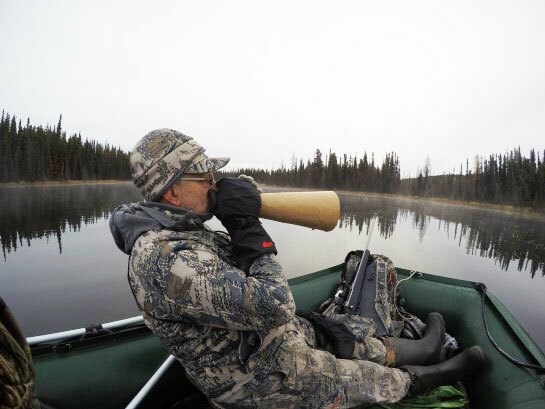 In order to learn how to call moose it is important to master several several aspects of moose calling. I've since learned there are several ways to magnify the sound of your voice. 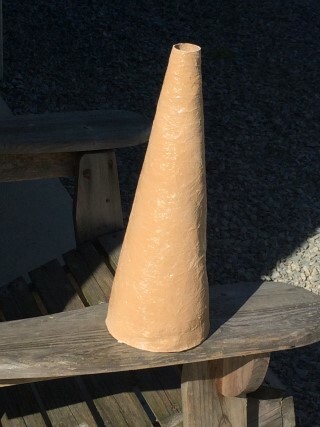 First is to use a traditional horn, these calls are described in more detail on their own page. Secondly is to use reed type calls or if you hunting area allows, electronic calls. Personally I'm not a fan of either of these types of calls. Birch Bark No longer available through us. Birch bark calls have been used for centuries for calling moose. Used first by Aboriginal people and now by anyone who has grasped the technique. The fiberglass style call is basically the same only it is made from modern materials. The distinct advantage of the fiberglass call is its durability and resonance. Highly Recommended! If you are looking for information about games calls other than calls for moose, you may also be interested in our article about game calls. A while back we received a call from Muskie Moose for review. Click over to that page to read about another reed style call.